I am so ready for a schedule again. Every summer I set one up for myself, but between all the different projects that I get going (writing, reading, house related, trainings, getting ready for the next school year, real estate…) I just have a hard time finding a routine that serves all the purposes that I need them to.Hopefully going back to school will provide some of that much needed structure. 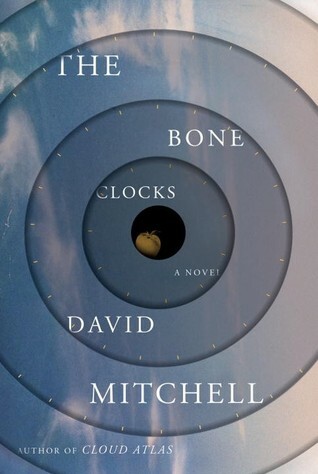 On My Nightstand this week, I’m finishing up The Bone Clocks by David Mitchell. So far, it’s a pretty engrossing read, and from a weird hybrid genre that I don’t think I would have read from on my own. After I finish this novel, which was recommended by a friend, I’m thinking about picking up Cloud Atlas. Can anyone recommend that one to me? Along with reading a novel, I’m also listening to one. I’m trying to make my running time more productive as my time spent running increases and the miles start to stretch in front of me. 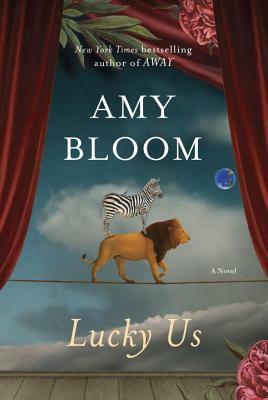 Last night I started Lucky Us by Amy Bloom. It’s been another interesting read. It’s one of those books that I picked up at Barnes and Noble several times, but never purchased. We’ll see. So, what are you guys reading right now? Next on the list, thanks to Ashley over at Afternoons with You is Eleanor and Park by Rainbow Rowell, a book I’ve owned for over a year, but haven’t made time for.